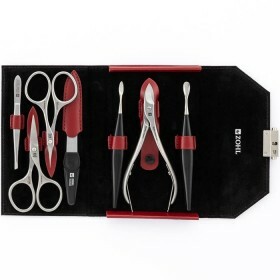 High quality manicure set with professional cuticle clippers is the best gift to your nails and a luxury addition to any personal care kit. 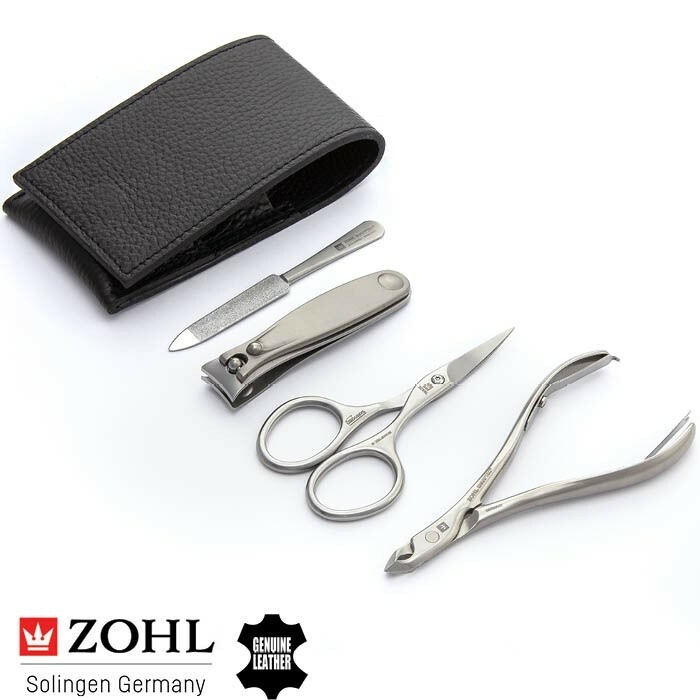 Crafted in Solingen, the German motherland of the world's best manicure and pedicure sets, the set includes 4 surgical stainless steel tools for complete nail care: large Solingen toenail clippers, cuticle nippers, fingernail scissors and highly durable nail file. Manually honed blades guarantee a smooth and clean cut for many years ahead without any need of re-sharpening. 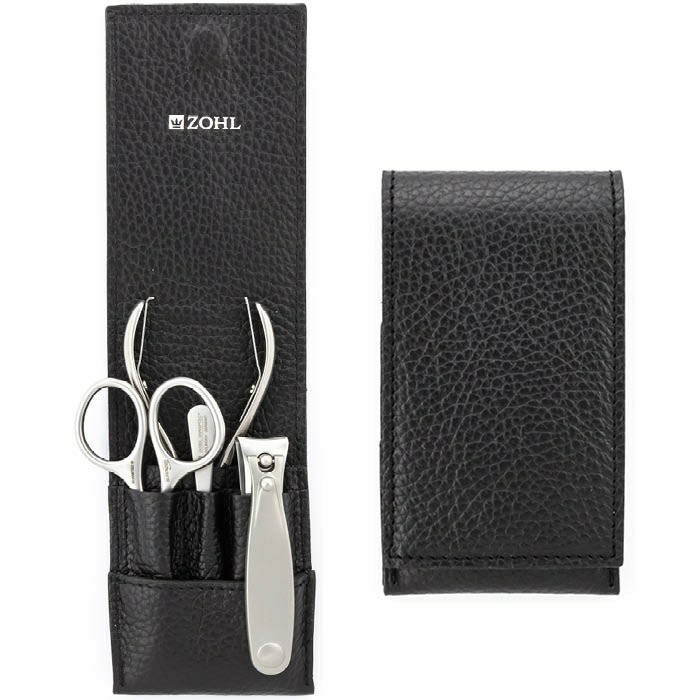 The nail tools are protected in individual pockets of the luxury black leather case with a sturdy magnetic closure, making it a perfect handbag set or travel kit for easy transport. Made in Germany. 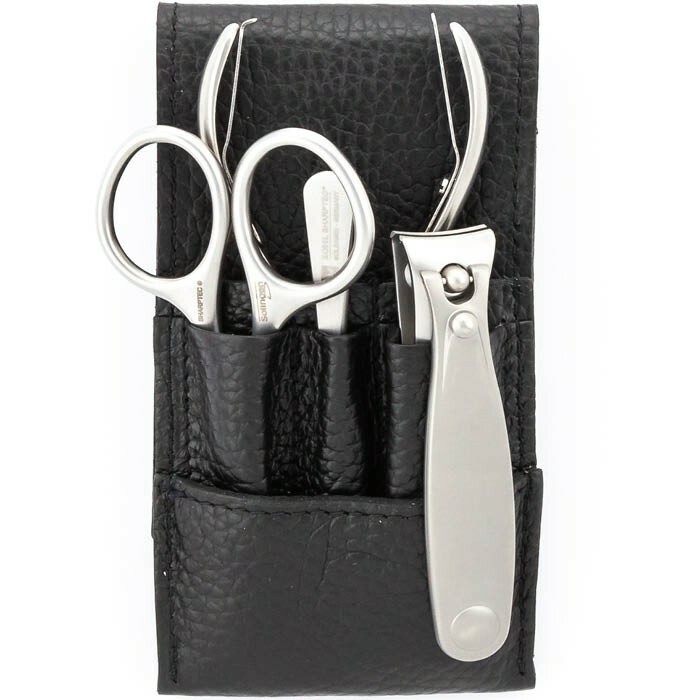 The luxury manicure set Magneto is hand crafted for the sophisticated manicurist who trusts their nails to the best manicure and pedicure tools. It is crafted by hand from surgical stainless steel, specially hardened to keep the blades sharp for decades. Expect professional nail care experience at the comfort of your home with the best German nail tools SHARPtec, ideally suited for fingernails and toenails. The set is expertly made in the German city Solingen. Solingen craftsmanship is renowned around the world for long lasting sharpness and precision of the cutting edge. 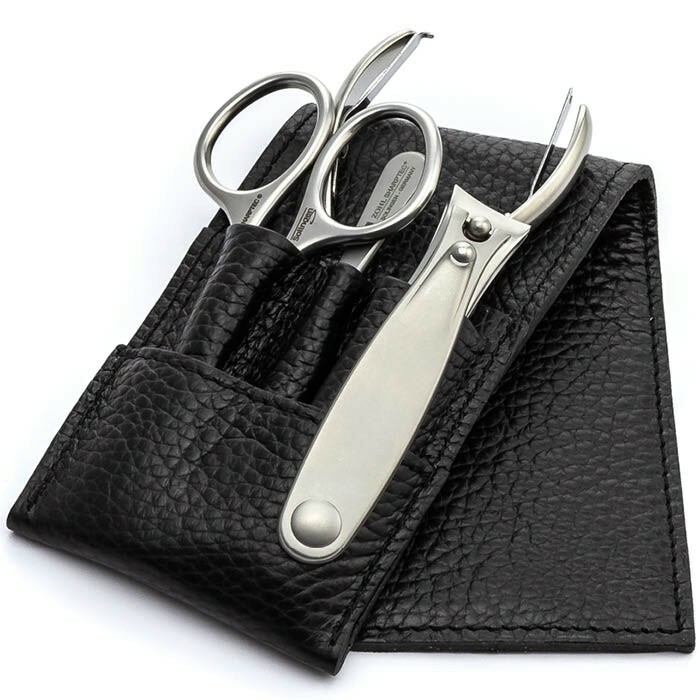 Whether it is Solingen nail clippers, scissors, knives or other cutlery – rest assured that authentic Solingen quality will keep delighting you with impeccable cutting for a very long time without sharpening. 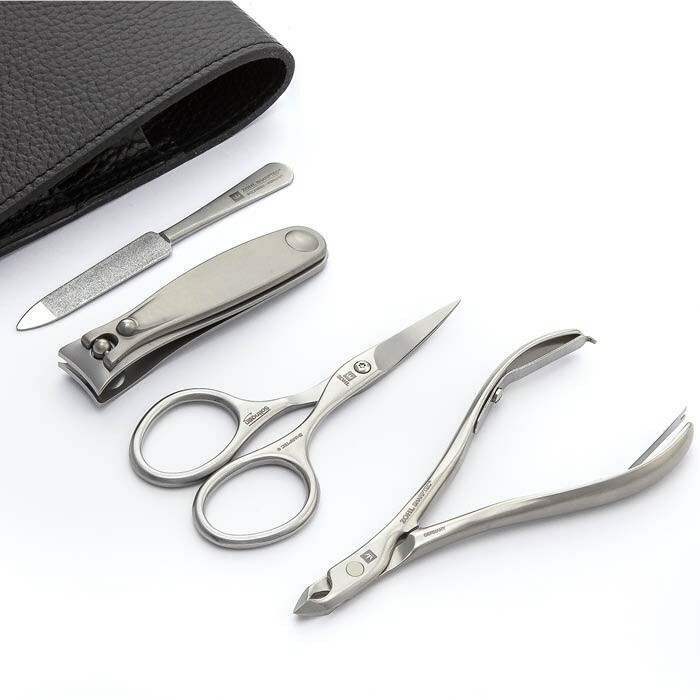 Fingernail Scissors (9cm) with slightly curved blades to follow the anatomical shape of your nails, and improved design for the most comfortable handling. Large Toenail Clippers (8cm) with advanced design and maximum stability in the hand, these Solingen toenail clippers are the best ever clippers, according to our customers. Nail File (9cm) the best nail file with dual surface that will impress with lasting durability and effective smoothening of the nail edge, even on thicker nails. 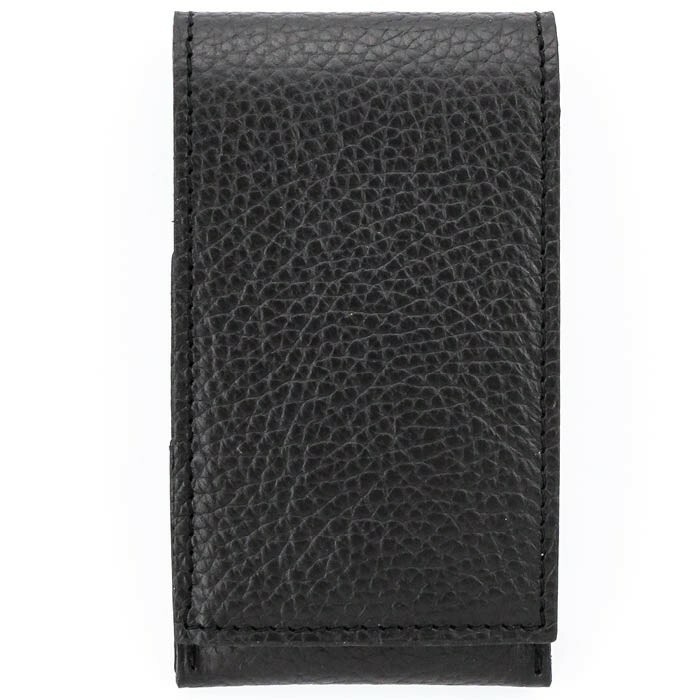 Beautifully presented in the black leather case, lined with premium cowhide on the inside and the outside, the instruments are protected from damage of the blades thanks to individual pockets. 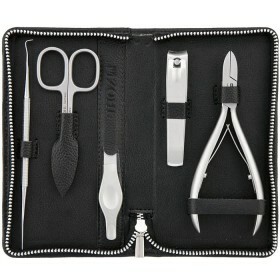 Truly unique in every way, the Magneto manicure set is a gift of distinction and is well suited for a man or a woman who likes the look of well presented nails with undoubtedly best manicure and pedicure tools. 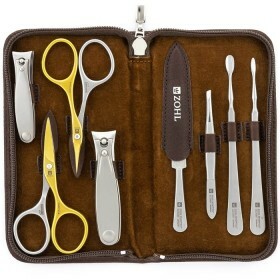 ZOHL is a registered trademark of the best and highest quality manicure and pedicure sets & instruments for men and women. 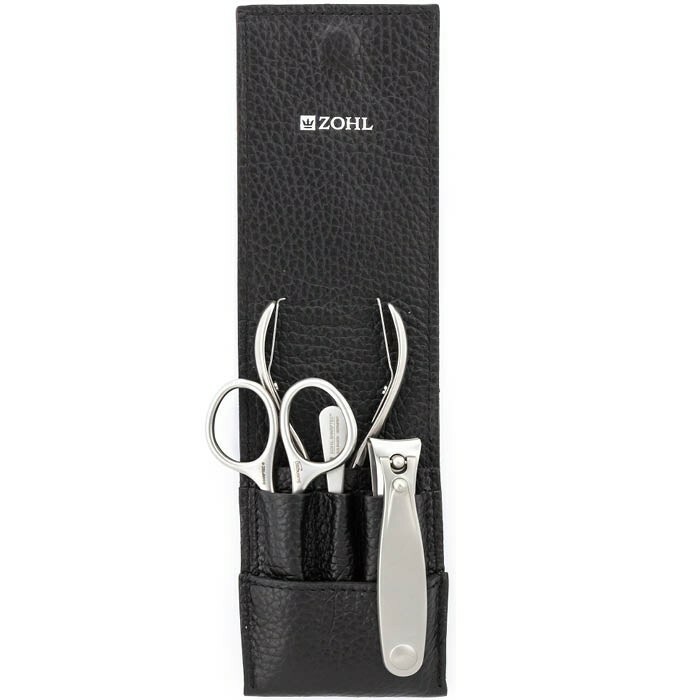 Made in Germany to the highest professional standards, Zohl promise is absolute top quality that will give a long lasting service and make an excellent gift that will be cherished for a lifetime. 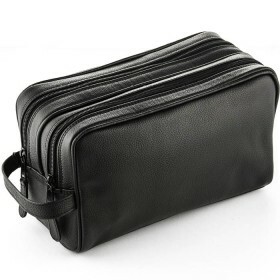 It is ethically made following fair trade practices and without any child labour involved. 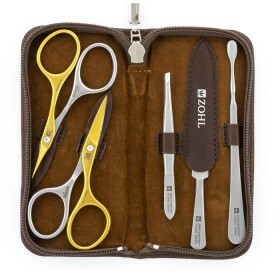 If you think the best manicure and pedicure sets for your best look, think ZOHL.